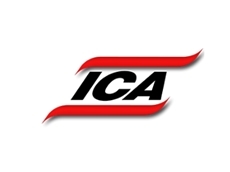 Industrial Conveying (Aust) believe companies who operate large warehouses and companies with varied stock keeping units (SKUs) experience floor space problems. According to Don Erskine, Managing Director, Industrial Conveying, companies in this situation require accuracy of selection during the materials handling process. They find it hard to reduce damage to product while maintaining multiple choice of picking, a ‘first-in first-out’ system or by selection. To increase efficiency in space utilisation, Industrial Conveying have developed a high bay stacker system. The high bay stacker solution is a sortation system that can efficiently put a single product into store, and for distribution can choose multiple products and dispatch. 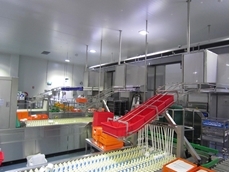 It allows fast and accurate use of high spaces within a warehouse efficiently. 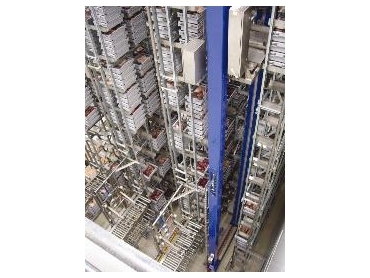 The high bay stacker solution fits into a distribution chain and a logistics set up. It combines with automatic truck loading systems for a pre-assembly of loads waiting for the next truck to arrive, which makes a positive difference to operating costs. Loading becomes much quicker, especially in the current economic environment where fuel is going up in price. 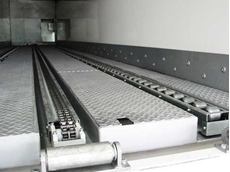 With this system, an operator can ‘cube’ the load to get optimum usage in the truck space. 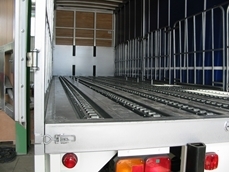 It provides the ability to load B-Double trucks automatically. 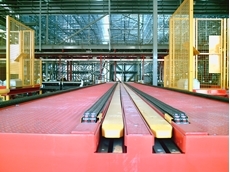 ASRS (automated stacking retrieval system), in conjunction with high bay warehousing, eliminates the cost of running a forklift fleet for such applications and increases the occupational health and safety levels in warehouses by almost eliminating human interaction with this moving equipment. Stacker crane technology can reach higher than the tynes of forklifts, and operate across a wide temperature and environment band to facilitate all types of industries, conditions and atmospheric variations. Stacker crane technology is cost-effective regardless of how high or how low an altitude it is handling. In high-rise warehouses, RF guided ASRS stacker crane systems are an effective way to store pallets because they can achieve efficient aisle movement, lift, lower-times, and placement and retrieval than the human operated forklift. The stacker units achieve their high efficiency and rates of accuracy through automated control systems that accurately and rapidly position them on their X and Y axes. The technology can be used in atmospheric conditions where heat and/or humidity are required in the warehousing environment all the way down the other end of the temperature scale where frozen products are being stored at -30°C. The ASRS integrates easily with Industrial Conveying's suite of pallet dock loading and dispatch technologies which can be entirely automated or made to work in synchronicity with dock loading forklifts.